CDC Fails Again. Are you Surprised? I Bet we Both aren't. Well, the kiddies have now seen the man behind the curtain at the Great Father Puppet Show. The CDC, at the poker table gambling with human lives, have just showed their hand and guess what? They’ve been bluffing all along. They don’t hold so much as a pair of deuces. Are you surprised? I bet we both aren’t. I am referring to the fact that a second health care worker in Dallas has now tested positive for Ebola, after contact with Duncan, the original carrier. This after CDC engaged in all kinds of decidedly bold braggadocio about how they had this situation under control, they were going to stop Ebola in its tracks, and, yes, there really is a Santa Claus. Of course, I would be more apt to believe in the existence of Santa Claus than I would be to believe in the competence of any federal government agency. Now it has been revealed by the Dallas health care staff themselves that the alleged “protocols” that CDC said the first Ebola-stricken health care worker had supposedly “violated”, in fact, did not exist. What? You mean the CDC might have been covering their six with falsehoods and finger-pointing? That, perhaps, CDC actually doesn’t know how the health care worker caught Ebola from the original carrier Duncan? And also that CDC dropped the ball and was not prepared for this after months of advance warning to be prepared? The truth is, CDC is typical of federal government agencies. A spectacular failure despite the billions of dollars poured into it to be prepared for such emergencies. CDC now says that “in hindsight, they could have done more in Dallas”. Oh, really? That must comfort everyone who counted on them to get it right the first time because the second time might be too late. And, excuse me, but didn’t our tax dollars pay them to get it right the first time? If we wanted trial-and-error without actual learning, well, we could have just sent the State Department over there. But now the story takes a very tragic turn. It has just been revealed that the second health care worker was admitted to the hospital one day after flying from Ohio to Texas. CDC is frantically attempting to track down the 132 other passengers on that flight. This is where the CDC’s juggling of the truth and facts is starting to become unravelled. First, CDC assured us that Ebola is quite difficult to catch and they had this situation contained with properly trained and equipped staff. We all know now that this is not the case. Which is what we suspected all along due to the fact that when the government says one thing, the truth is really quite the opposite. The medical staff at Dallas were not provided with adequate training or equipment to handle Ebola and we know this because the health care workers themselves have now revealed this to us. Yet, they did have some rather cobbled-together protective garb and still two contracted Ebola. Therefore, an average person without any protective garb whatsoever is certainly highly susceptible to catching Ebola, thus proving what CDC says is absolutely false. In fact, there are only four hospitals in the entire United States that are adequately equipped to handle Ebola and this is one fact that CDC has been trying to hide. Second, we know that these two health care workers contracted Ebola from the original host, Duncan, and that the vector was air travel from the “hot zone” in Liberia. Now we see that the second health care worker was on a flight from Ohio to Texas. As I said, CDC is desperately trying to track down the other passengers on that flight. This is because CDC knows Ebola is a lot easier to catch than they have been telling us. What’s more, they know that air travel is one of the vectors, if not the most worrisome because the disease can spread to places that otherwise would remain unaffected or would have adequate time to prepare. Now, CDC Director Dr. Tom Frieden previously told us that shutting down air travel to the stricken regions in West Africa would be wrong. But CDC has just proven this to be yet another falsehood, as demonstrated by the fact that they have virtually admitted the possibility of it spreading on the aircraft itself is more than plausible. After that, passengers can board aircraft on connecting flights and spread it to various other cities. That Dr. Frieden appears not to understand this basic fact of contagion spread is alarming, but not surprising because he is, after all, a federal government employee. Third, CDC now says it was not unexpected that there would be additional exposures, meaning other people catching Ebola. 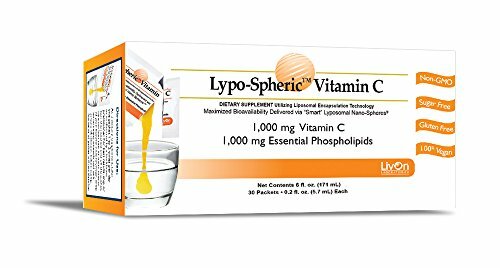 This is a downright ridiculous statement but, to use their word, not “unexpected” Lypo-Spheric Vitamin C... Buy New $32.95 (as of 03:30 EDT - Details) coming from the federal government. They even gilded the lily by saying they mentioned this before. No, they didn’t. They said they’d have this under control and would stop it in its tracks, on top of them basically saying catching Ebola was more difficult than winning the lottery. If CDC “knew” there would be additional exposures, why did they not make sure the correct procedures were followed in Dallas and that the medical staff was provided with the proper equipment to try and avoid that possibility? If they “knew” this, why wasn’t the medical staff more than “self-monitored” for at least 21 days before they could board flights elsewhere? What CDC is really telling us is that they don’t truly know how these two health care workers contracted Ebola from Duncan. They’re guessing and making assumptions and when that doesn’t work, blaming everyone and everything else except their own incompetence and outright failure. Now there are two people suffering for CDC’s avoidable mistakes. Something of concern here regarding air travel was aptly illustrated by an unrelated news story some weeks back. This story concerned people with peanut allergies who want peanuts to be banned from airliners. A woman stated her child suffered an allergic reaction when a man four rows ahead of hers opened a bag of peanuts. Somehow the dust or miniscule particulates from the peanuts migrated back to her row and her child then had an allergic reaction. Was this possible? Perhaps. An airliner is basically a sealed, pressurized tube and the air within is circulated around. If a child can get an allergic reaction from peanuts opened several rows away, due to the air within such an enclosed space bringing the particulates to him, then it is obviously possible Ebola could be spread inside an airliner in the same fashion. Now, CDC told us catching Ebola on an airliner is remote. Yet, their own actions tell us otherwise. If two people who wore even very basic medical protective garb contracted the virus, then people wholly unprotected on an airliner can certainly catch it thanks to the enclosed space of the aircraft. CDC gets an F- on their report card here for two reasons. First, they failed to stop air travel from the hot zone to begin with. Second, they failed to understand that air travel itself is a vector and anyone exposed to Ebola should be not be travelling to other cities via aircraft or other public conveyances. CDC claims they told these health care workers not to travel on airliners, but that one evidently did anyway says CDC may be constructing another fairy tale again and trying to cover their own mistake. I doubt a licensed health care worker would risk losing a necessary license by violating a CDC directive. This sounds like CDC again blaming the health care worker for the CDC’s mistake as they did with the other health care worker. Speaking of air travel, here is where another CDC falsehood has been revealed. CDC Director Dr. Tom Frieden said of the Ebola-stricken health care worker, “She was in a group of individuals known to have exposure to Ebola. She should not have travelled on a commercial airline.” Hello, Dr. Frieden! That means anyone coming from West Africa, yet you said stopping commercial air traffic from West Africa would be “wrong” and refused to stop those flights, as did President Obama! If just being exposed to an Ebola victim is the criteria that says someone should not be on an airliner due to the risks involved, then quite obviously, just screening for symptoms such as a fever by taking a temperature is doomed to fail. The so-called pre-boarding screening procedure is to detect a person with a temperature of 100.4 degrees or above ( in other words, a fever.) The health care worker’s temperature was 99.5 degrees. This could mean the symptoms were already beginning to manifest as a rising temperature, depending on what the temperatures were previous days. If the worker came down with the symptoms only a day after the flight, it is quite obvious the screening is a tremendous failure and cannot stop anyone with Ebola from boarding a plane and bringing it to wherever they land. What’s more, CDC appears to be nearly admitting symptoms cannot be spotted by pre-boarding screenings, then possibly begin to manifest in-flight and infect other passengers on board. If that is possible on a domestic flight, then on an international flight it goes without saying. Yet, right here is Dr. Frieden contradicting things he has said, over and over again. We see right here, once more, that screening does not work and will not prevent anyone with Ebola from boarding airliners and bringing the disease here from West Africa. Then others infected here carrying it elsewhere on domestic flights. And Dr. Frieden continues to perpetrate this charade on the American people. I also want to add that the health care workers that cared for Duncan should have been truly informed of the risks and given their consent to a voluntary quarantine afterwards. Or they should have been allowed to refuse the job if they did not wish to assume those risks and subsequent quarantines. Further on that thought, it should have been CDC staff caring for Duncan in the first place. Why? Because they needed the training, obviously. It needed to be them to learn what there was to learn. It needed to be them since they had the proper equipment and allegedly knew the correct protocols. It needed to be them to assume those risks and then undergo quarantines afterwards. That’s what we’re paying them for. That’s their job description. Isn’t that what the initials “CDC” stand for? Center for Disease Control? Instead, CDC used the health care staff at the Dallas hospital as both pawns and guinea pigs. CDC also now says other health care workers who cared for Duncan may very well contract Ebola. If this isn’t admitting failure, I don’t know what is. How was it even possible for them to contract this if what CDC told us from the very beginning was actually true? Well, the truth became known as health care workers stepped forward to tell us that CDC did not provide protocols and that, for example, medical waste from Duncan was “piled to the ceiling”. They didn’t have proper protection, either. Not only that, but Duncan was kept with other patients and a medical staffer had to fight with a supervisor to have Duncan isolated. This right here tells us that CDC was busy combing their hair for the press conference when they should have been doing their dadgum jobs. But I smell something fishy here. Where was the Great Father Obama? We now know that, too. He was busy with fundraisers for the upcoming elections with actresses swooning over his supposedly handsome visage. I would love to read the emails from the White House to CDC. One wonders if CDC isn’t getting marching orders from the White House to tamp down this thing with as few people in hazmat suits as possible. If people see CDC personnel in hazmat suits, it begins to look like what it truly is: The genesis of a possible epidemic. It looks like scenes from science fiction movies where the entire population of the United States dies except for the star-studded cast (now busy with fundraisers for the Great Father, by the way.) This doesn’t look good before an election. It looks like another crisis the Obama Administration has bungled. Except it already is another botched crisis despite the CDC doing the “Nothing to see here, folks. Move along, we’ve got this.” If there is one thing the Great Father can be counted on to do during a crisis, it is to play politics with it. Especially so right before an election. But the microbes didn’t get the email memo. The virus doesn’t appear to be overly concerned about the elections. In trying to “manage” the crisis, the Great Father’s CDC has lost control of it. But we know where Obama is now. He’s meeting with “officials” on how to proceed and handle the crisis. A little late, don’t you think? In actuality, he’s probably meeting with his press staff to find out how they can spin the crisis and turn it into an election strategy. Color me cynical, but they might think that if Ebola appears to be spreading, many people won’t risk voting and being around large groups of people at the voting booths. Except the dyed-in-the-fair-trade-organic-wool Democrats who think Obama is doing a nifty job handling this crisis and only wacky Tea Party members and survivalists would hunker down like that. All lampooning of the Great Father aside, here is the stark truth of what we see before us. Whether or not this builds into an epidemic is actually not the real point. The real point is that the federal government has just openly demonstrated to us all that they care nothing about the lives of the human beings it claims to protect. They care only about their own power, their own political gamesmanship, and being celebrities. What’s more, they will sacrifice anyone they need to in order to advance their own political careers. We now see two human beings that are suffering directly because of this. Sadly, what happened to these two human beings didn’t have to happen. This could have been prevented had the CDC actually done what they said they were doing rather than just talking about it to the press and becoming celebrities in their own right. Indeed, one wonders if CDC Director Dr. Tom Frieden isn’t already writing his book to cash in on the crisis. Can’t you see the title now? “Ebola Hero: How Disease Czar Dr. Tom Frieden Saved America”. They’ll probably make a movie from the book, too, starring several of Obama’s Hollywood fundraiser friends. That is to say, provided Ebola cooperates and doesn’t blow up into a major epidemic. Perhaps they can send Secretary of State John Kerry to Dallas to talk with the Ebola virus and find out if it’ll be willing to negotiate. But it isn’t just Obama and Frieden that need to be fired. It’s the entire federal government. Replacing Obama and Freiden isn’t enough. They replaced Secretary of State Hillary Clinton with the aforementioned John Kerry. Need I say more?